Crissy's Art & Heart: BLOG CANDY EXTRAVAGANZA!!! 7 WNNERS WILL BE PICKED!!! PLUS SNEAK PEEKS!!!! BLOG CANDY EXTRAVAGANZA!!! 7 WNNERS WILL BE PICKED!!! PLUS SNEAK PEEKS!!!! Tina and Bethany of High Hopes Stamps have donated a ton of rubber goodness for me to share with you!! They are most kind and generous in the stamping community! I have been collecting tools and embellishments throughout the year to share with you as well and have added them to what they donated to make the prizes fat and yummy!!! - one sheet of EZ mount (cling foam)! - three High Hopes main images (Dress-up Danni, Crissy's Snuggle Bear, Peg Leg Pete) plus six more matching accessory stamps (all unmounted)! - four boxes of chipboard embellishments by KC & Company! - bag of assorted large Primas! - Basic Grey 6x6 paper pad, "Offbeat"! - two High Hopes main images (Whitby Whale, and Treasure Chest) plus six matching accessory stamps (all unmounted)! - Six Copic Ciao markers including a colorless blender and one Copic Original! 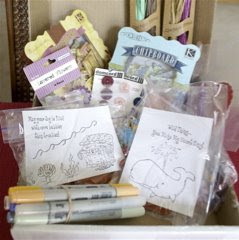 - 2 boxes of chipboard embellishments by KC & Company! - buttons, layered flowers, and an assortment of other embellishments! I will also give away "Tidy Up Tillie" to a third place winner and "Mildred" to a fourth place winner! 1. I would like to show my appreciation to all the people who have supported me so kindly over the past ten months, and so I am opening this blog candy contest to all my FOLLOWERS! That means, if you are not currently a follower, you must become one in order to be in the draw. Just start by clicking on the "Follow" icon to the right of this post, and go from there. It is not necessary to post a comment on this post, as I will be choosing the winner out of the list of followers! 2. You must post a link to this blog candy post on your blog. If you don't have a blog, let me know in a comment on this post and I'll enter your name, as long as you are signed up on my blog as a follower. 3. The contest starts today Wed. July 8 /09 and runs until Wed July 15 /09. I will number the list of my followers as they appear on the page by Blogger and use a Random Integer Generator to choose the numbers of the winners. I will post the winner's names here on my blog on Thursday July 16. The winners must contact me by Saturday July 18 with their mailing address in order to obtain their blog candy. If I don't hear from you by midnight EST on Saturday the 18th, I will choose an alternate name as the winner. THREE MORE FOLLOWERS WILL WIN!!! I'M GIVING AWAY THESE HIGH HOPES STAMP SETS FROM THE NEW RELEASE!!! Just to be fair, if your name gets chosen for one prize, I will then remove your name for subsequent draws, just so that the wealth is spread around ;-). And yes, I will ship internationally! And now, on to even more exciting news...SNEAK PEEKS!!! Mudzie: E41, 42, 43, 47, 49, then R20 all over to rosey it up a bit, then E35 and 39 for a rich warm glow. And your last sneaky peeky, a card I did for my FIL for Father's Day. He LOVES to golf so this was the perfect card for him! He loved it too! (BTW, there is a girl golfer in the new release too!) Sentiment computer generated. Thanks for visiting today, and good luck in the contest!! Here's my link! Thanks for sharing your talent! I am now a follower and I've got you linked to my blog! I just found your blog by accident today, what lovely cards and stamps you have on here! I have signed up as a follower and will be spreading the word on my blog. Thanks for the chance to win! Wow what fabulous blog candy Chrissie, I am off to post this wonderful candy on my sidebar with a direct link back here. Love your cards which are bright and cheery and will brighten anyones day. I am already a follower. I do not have a blob, but am a follower. I will spread the word to my crafty friends. Thanks for the generous candy you are offering and the chance to win one. I just signed up to follow your blog. Will you enter my name in your drawing. Your cards are the best. Oh each and every one of these cards is wonderful. I know your friend will treasure the card you made for her. It's so sad to lose a pet. Be sure to tell the High Hopes company thanks for their generosity! What a fantastic group of prizes. Oh My Giddy Aunt! What an Extravaganza of Crafty Scrumptiousness you are offering! Just stumbled across your blog while doing a spot of blog browsing tonight. Have now joined your merry band of followers and will post a link to your candy on my sidebar. The lady and dog image is just gorgeous ... you're so kind to think of her. I'm sure she will be very touched. Your sneak peeks are wonderful! And so is your blog candy. I've become a follower and added your candy to my blog candy alert. Thanks for the chance to win these amazing prize packages! You sure are very talented with the coloring....just beautiful!! I have become a follower and posted your candy to my sidebar. All of these prizes are really super and it would be fun to win any of them. Thank you for the chance to win. Oh my gosh what amazing blog candy!! So generous. I am already a follower of your blog and your cards and artist skills are absolutely mind blowing! Stunning. I always read when you do the tutorials on how to colour with the copics. I do not have a blog. But love to read them. Not enough courage yet to start one! Thanks again for sharing your work and your candy! I found your blog today and so glad I did. I love what I've seen of your cards. I became a follower but I do not have a blog. Please enter my name in the drawing for this amazing and so generous candy. Thanks for the chance to win. Hi Crissy!!!! WOW!!!!! Thank you, Tina and Bethany for your generosity!!! How fun!!!! I put a little blub on my blog tonight about your awesome candy. I can't wait to see what you have in store for us this weekend, I'm sure you know how excited I get for the new releases!!! I also want to thank you so much for your super sweet comment about my polka dot card, I think it is kind of goofy!!! LOL!!! wow! I am glad I found you - there is a lot of great inspiration here! I do not have a blog - but will now be an avid follower! Blimey i can't believe the candy! Hun thats so generous, i've linked you to my candy bar, funny i've had you on my blog roll since i joined but forgot to click follow DOH! done now. Love what you've done with the stamps too they are gorgeous. OH MY GOODNESS!! WOW!! This is so incredible! Thank you so much Crissy (and to Tina & Bethany as well). So incredibly generous. The candy is all fabulous. I love High Hopes stamps (& I especially love that they are Canadian)! Thank you so much for the chance to win - this is awesome!! I have posted on my blog and am fairly certain I am a follower - I know I follow you in my Google Reader. :) You are going to make a bunch of your followers very happy!! So generous of you for the wonderful blog candy! I signed up as follower but do not have a blog to call my own. Love High Hope stamps and would love to win one. I am already a follower of your blog. However, I will post a picture and link on my blog! Thank your for the chance to win these terrific goodies! You are way too generous! oh my goodness...........what AWESOME blog candy! Love High Hope stamps! Thanks for the chance to win some Crissy........I'm officially a follower now and posting a link on my blog! I have posted to follow you but sadly do not have a blog..I don't know how to do that!!! Thanks for the chance to win candy - the prizes are awesome. Hey my friend--this candy looks amazing--thanks for the sneak peeks--they look absolutely adorable--can't wait to see the whole line! God has given you an amazing gift--thanks for sharing it with us!! Thanks to you,Tina & Bethany for your generosity as well!! I've posted your link on my site!! I just found your blog and so glad I did. These High Hope stamps are so darling (new to me). I don't have a blog but did join up to be one of your followers. Know I am going to love your blog and your wonderful talent. Hi, Chrissy, I just found your blog tonight. What a beautiful family you have. I love your cards. You sure are talented. Thank you for the chance to win the great candy. Aloha Christy! I'm new to your blog and now a follower. Your coloring are fabulous. I look forward seeing more of your beautiful creations. WOW loving the new stamps! Your blog candy is to die for~ I am a follower, and will gladly link you! Thanks for the chance! thanks for your lovely comment on my blog my dear sister in Lord Jesus! Hi Criisy boy am I glad I found you blog you have one stunning blog!!! I have only recently discovered high hopes stamps a couple of months a go over on Michelles blog and I am so glad i did, I love your little golfer. Hi Crissy Thank you for popping by my place and leaving such a nice comment. I love your blog its beautiful and have now become a follower. Thank you so much for the tutorials as I have just started using copic and hope I can get to grips with them now, they are so informative.I will pop a link on my blog for you and shall be back often. I found your blog today through Nikki's blog and well glad I came your work is inspirational and I an definetely going to be a follower cant wait to see your tutorials I will be off to do that as soon as I have added a link to my blog. Thanks for giving everyone a chance at such wonderful candy. I know it will be enjoyed who ever wins it. WOW Chrissie what FAB candy !!! you are so generous i have added a link on my blog with a piccie to spread the word, and i am now a follower, your blog is amazin and your cards are stunning, cant wait to see more of your gorgeous creations. WOW - I can't believe your blog candy. As if just getting to watch your copic tutorials wasn't enough! I just very recently purchased copics and have been learning so much from you! Love, love love your blog! I don't have a blog but I have signed up to be a follower - although you've been on my favorites for a while and I check it every day anyway! I will be putting a post on my blog right after this message. It has been a pleasure and an inspiration following you over the last 10 months, so thank you. Also love those sneak peaks when will they be over in the UK? 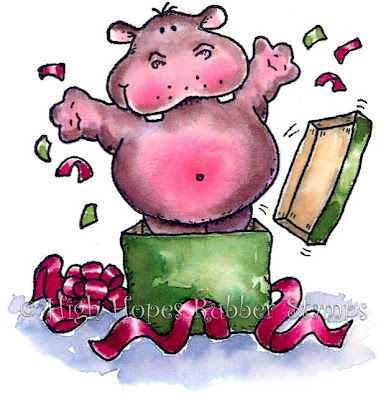 My sister absolutely loves hippos so I would love to be in with a chance of winning that as it would make a great Christmas card for her. I'm sad that I don't know anybody who plays golf ;) What a fun image and beautiful colored (love the hat)! I like the stitching around Modzie but most of all I ADORE the image of the girl with the dog because I'm the bigest doglover in the world!!! I love how you colored her, with the little freckles! Great card. And what a SUPER FANTASTIC blogcandy!! What great cards and awesome candy!!! How fabulous!!!! Ive become a follower and I've put a link on my sidebar for you candy. Thanks for the chance to win. ooooh love mudzie !! and what a cute card! The new release looks gorgeous and your work is amazing. This is awesome candy and I would love to win! I'm a follower and I'm off to link on my blog. Became a follower of your gorgeous work and linked you on my sidebar! love the new releases and the candy is so fab, thanks for the chance! Ohhh wowww Crissy,what a beautiful cards,l love the images and colours. Wow Chrissy, what lovely prizes. Thanks for the chance to win. What a wonderful candy! I am a new follower. Thanks a lot! And please count me in. Wow Chrissy... your candy is super!!! OOOoooo, count me in! Those are some GREAT prizes! I'd feel very lucky to win any of them! Love the sneak peeks, too! Can't wait to see them on Saturday! your blog ist wonderful. I like your work very much! I'm a follower. I linked your candy on my sidebar. Many thanks for the chance to win this great candy! Your cards are gorgeous and your colouring is super. Love HH stamps. I think they are soooo adorable and easy to colour up. Just finished coloring blowing bubbles just need to get it mounted and post on my blog. Once I do that I certainly will be spreading the word of your terrific creations and fabulous blog. Wow your cards are really amazing, I´m a follower now and I´ve linked your candy at my sidebar. HI from Italy! Beautiful card, especially The Mudzie ones! Thanks for a chance to win these beautiful prizes, I've just put a link to my candybar and I am a follower! Today is my bday so, maybe that will bring me some luck ! Hi Chrissy. Thanks for posting such amazing work. I totally LOVE ur golfer....I married into a golfing family...and co-incidently....he looks like my FIL...spooky!!! Alas I am blogless, but now follow. Thanks for providing such beautiful prjects...for all us procrastinators out there...LOL!!! Wow, what a great blog candy! Of course I would like to win one of the prizes ;) I signed up as a follower to your blog and posted about this candy in my blog. Thank you for the chance to be in the blog candy giveaway!! I signed up to be a follower of your blog, but I don't have my own blog to link you to, but would still like to enter your blog candy extravaganza! Your cards are such inspiration for me. I am looking forward to getting copic certified this August in Wisconsin. I LOVE every one of your creations! Thanks for the chance to win some loot. I really appreciate you taking the time to list the products you use on your cards. I love the new release! Fantastic Blog candy. I've added myself as a follower but don't have a blog. Thanks for the chance to win one of those beautiful prizes! Chrissy ~ I gladly started following you....am very impressed with your talents and cards....just starting to get into the copic's and learning to utilize them in my endeavors. Added a comment to my new blog as well...so totally a newbie at this! Very generous blog candy and I can see myself spending some time here as the days go by! I was directed here from another blog and I'm so glad I found you. I'm just starting out with copics and your cards are just such an inspiration. Hopefully, one day I'll achieve somewhere near your perfection. I've left a link on my candy bar for you too. I found your blog via Sirpaliina's blog and gladly became your follower, so talented colouring and cards! Thanks for sharing! I'm abeginner with Copics, so every piece of advice is gratefully received, thank you! I haven't got a blog yet, but I'll use email actively to spread your blog address. I'm already a follower. These stamps are so gorgeous, I would love to work with these! Thanks for offering such generous candy, I will link you in my sidebar. Your sneak peeks are amazing and I can't tell what will be my favorite. You are an incredible designer and your blog is very inspiring. I love the tips you give. I am a follower and have posted your blog candy on my blog. Thank you for a chance to win. Oh WOW! What an amazing giveaway - you are so kind! I've become a follower of your fab blog and have put a link to your incredible candy on my blog. Hi Crissy, wowee what a fantastic giveaway for 7 lucky ladies. All of the prizes are just gorgeous. I found you through a friends blog and im so glad i did, your artwork is amazing.. im off to look around at what else you have been creating. Crissy, I love your work and seeing what you do with the stamps. Lacey (my friend and teacher) put me onto High Hopes stamps and I love them. Thanks for the chance to win the awesome blog candy. I don't have a blog. Yet. Love the sneak peaks and can't wait to see the rest of the release. I don't have a blog! I'm a follower and you are in my google reader. Wow, I just found your blog this morning thru Stampin' Stuff and I'm so glad I did! Your cards are amazing!! Wow Crissy what an awesome crafter you are which I could colour half as good... just found your blog thro Ila, have added myself as a follower, thanks for the chance to win some of your fantastic candy. have put a link & post in my side bar. I just found your blog and so glad I did. These High Hope stamps are so darling. I don't have a blog but did join up to be one of your followers. Know I am going to folow your blog and get great ideas with your wonderful work. HOLY TOLEDO! Those are some fabulous blog candy prizes! I love your blog also! I just signed up to follow your blog and I will add a pic and link on my blog! Thanks for the opportunity I could really use any of the items if I am a lucky winner! Wowie! Crissy, this blogcandy is great! I became a follower of your lovely blog and I wrote a message on my blog. I also placed a link at my sidebar. Mmm I can't see my comment. I wrote a comment just a few minutes ago. I became a follower and I wrote a message on my blog and I've made a link on my sidebar. I hope my comment will appear! Krissy, Very sweet candy. I know I've just found your super blog and can't wait to see more. Your projects are so cute! I'm now a follower and off to link your candy! I got my fingers crossed! Great blog candy offered. I am signed up as a follower, but I do not have a blog. If I had one, I would definitely post this on it. wow - what a fantastic Candy and so brilliant Images. Oh my goodness, you are so generous! I've linked you up on my sidebar, and joined as a follower. Hi Crissy! I did post about this fabby blog candy and I am already a follower, but I just wanted to say how awesome these stamps are! 1 Love the golfers and the flower stand too...I want a Hippopotomaus for Christmas is my kids favorite Xmas song! Awesome, can't wait! Oh My! I knew that I should've clicked the follow button when I first found you! lol! This is so sweet and generous of you! What a great site you have and you are a delightful papercrafter. I am a follower and a beginner at blogging. P.S. your blog treats are GREAT! wow had to pick my jaw off the ground when i saw this, i just love your stamps and your colouring is beautiful. I am now a follower so glad i found your blog. Have posted all about it on my side bar. I am just learning about stamping. I came across your blog and was just inspired by your beautiful creations. I would love a chance to win one of your prizes. I do not have a blog -- yet. I am now a follower of your blog and I will be spending some time looking at all of your awesome work. Thank you!! Looking over your work and you are so very talented and you sure don't look old enough to kids that old. wow crissy what a wonderfull blogg do you have!! lots of inspiretion!! and what a big prizes yummie! i dont have any blogg! hope you can read my englisch. I love your blog - I've become a follower but don't have a working blog just yet - still in progress!! 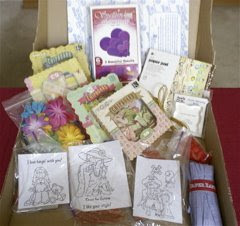 Your colouring is amazing and it is very generous of Tina and Bethany to donate so much blog candy. Don't have a blog...but just became a follower...I love your artwork and coloring ability. Thanks so much for the inspriation you give me. I am now a follower (love your work) and have put a link on my blog. WOW, what a great selection of fab blog candy. I'd love to win any one of them. I have been an unofficial follower for a while but for a chance at the great candy I signed up. I do not have a blog but would love a chanceto win. Love your work! 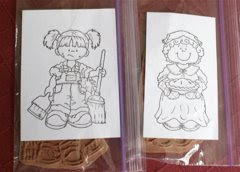 I was brought here by Stampin stuff and although I do not have a public blog ( only a private one) I am now a follower. I love your colouring and can't wait to see more. What excellent candy and beautiful showcasing of your stamps! I have been a follower for ages and i will post your candy in my side bar. Many thanks. First I would like to say thank you for popping along to my blog and leaving such a lovely comment. I am so greatful you did as I have now the oportunity to meet a lovely person who shares my belife In Jesus Christ I too am so blessed to have him in my life and I thank my father in Heaven every day for my life here on earth. awww what a sweet and generous giveaway! So happy I found your blog. I love finding other Believers who enjoy the crafting bug :D Look forward to following your beautiful creations! wow fantastic blog and candy thanks for the chance to win it, I'm off to post about it on my blog. I shared your candy-link on my blog!I hope you get more followers too! Hi! What a awsom candy! I shared your candy-link on my blog!I hope you get more followeers! I stumbled upon your blog today. What a talented lady you are - I've added my name to your followers list. I've also linked your very generous Candy on my sidebar. Hi Crissy, What a great candy! I am now a registred follower without a blog. Thank you for your lovely work and the chance to win. I'm a new follower and I have your yummy candy linked on my sidebar. I love love love the sweet papa image playing golf! He's just adorable and remind me of my Papa. Crissy, you are such a blessing to us all, and this candy is amazing! I posted your giveaway on my sidebar! Hugs! PS: I wasn't already an official follower on your blog, but I have been following your wonderful work for YEARS! Wow! Thank you for your generosity! I just became a follower, wished I had found you sooner, love your blog. I have linked your candies on my sidebar. -sigh- I don't have a blog.) Now heading over to the High Hopes site!! Oh, those High Hopes stamps are so adorable ! I'd be thrilled to win ... thanks for the op. What a generous blog candy, Crissy! I love your sneak-peeks cards! Really sorry to hear about the woman and her dog loss... But the stamp is so beautiful! Love your very amazing coloring! Golf card is so adorable! Really love the CB embossing! And Mudzie is so cute! I also would like to thank you for visiting my blog and leaving a nice comment! I have visited before and loved your creations. But, is there another way to be a "follower" without setting up an account and all that? And, no I don't have a blog. I love High Hopes and had a great time with the ones I have. I just love those High Hopes Stamps. Your blog is awesome and the candy is great! Thanks for all the inspiration! I don't have my own blog yet, but just signed up as a follower of yours. I have been following your blog for quite some time already! Love it! "I wanna be JUST LIKE YOU when I grow up...LOL"
There's just something about High Hopes images that make ya feel good all over. Thx for the opportunity to win. I don't have a blog - thank you for letting me enter anyway. Oh my goodness this is so much yummy candy you are so generous! I have just found your blog while hopping around and your cards are incredible! I am off to follow you and put a link to your amazing candy in my side bar. Thank you so much for the chance to win. but any way you have a great blog! WOW!!! What an amazing give away! I sure hope I am one of the lucky ones! I'm off to post the link on my blog. Here is the link if you want to check it out. Thanks for the chance to win such fabulous candy and for sharing your beautiful work! I'm a cardmaker for years and years, but I'm really new at stamping. I love this technique already although I've so much to learn at this. Your blog is great! And so is your blogcandy! Thank you for giving a chance to win this very nice craftstuff. I have joined as a follower but don't have a blog. The lady with the dog stamp is so cute, What a lovely thing to do. Anyone of those prizes is FANTASTIC. I've always loved your work on SCS and now that I signed on to your blog I won't miss any of your outstanding creations. and would love you to come and visit sometime! Thanks for the opportunity to play - I would be thrilled to win any of this - sigh! Let's hope!! God bless you! What Fab. Blog Candy.. I am a Follower and have posted about this on my Blog..
What a wonderful giveaway! My sister told me about your site and now, I too am a follower! I blogged about your Blog Candy Extravaganza! Hi Chrissy...LOVE your artwork, such an inspiration!!! Just became a follower but don't have a blog. Thanks for the chance to win. Thank you for sharing your beautiful artwork with all of us. I will add the link on my site so others can view your talent. I'm so excited about the new release I can't wait! Thanks for the preview!! Hi Crissy, I just found your blog - and WOW! your coloring is just gorgeous! Thanks for the chance to win that yummy candy! Those stamps are just adorable. wow! Seeing your colored images made me take a second look at some of the stamps. Colored completely changed how I saw them. Hi,Crissy,glad I just found your blog.You have done some wonderful work.I don't have a blog,but Iam now a follower.Would love to win some of your goodies,as I haven't had a chance to use any of the stamps you show. OMG ! I have never seen so much blog candy ! You are so generos. I will test my luck :o) think I have don what was mend. I'm new at this. It's amazing the products you give. Your cards are great with the shadowing and the colors are perfect. I'm a follower and linked you up HERE! Wow what a fantastic blog i have just come across.So much creative inspirational projects and tutorials i am now an avid follower .Ihave linked your candy to my jar ,thanks for thr chance to win looks scrummy ! I love all the High Hopes you've shown. UNfortunately I don't have a blog to link this wonderful candy to! I don't have a blog, but I can't wait to look at yours on a regular basis. Just love this candy! How nice of the girls at High Hopes to be so generous. I justlove High Hopes stamps. Keep the cards coming you give me inspiration. I don't have a blog, but I sure do like visiting yours on a regular basis. I love this candy and I love High Hopes Stamps. It sure is nice of the girls at High Hopes to be so generous. Keep the great projects coming ypu are an inspiration to me. I just found your blog....you have an amazing talent. Awesome giveaway!! I am now following and I have posted a link to your giveaway on my blog's sidebar. I found you today through Nikkis blog. I am now happy to be a follower of yours and have enjoyed browsing your blog. You have an amazing family which is full of love which is lovely and your children are all very pretty and handsome. You seem to have had a happy life so far and it's really nice to read a persons blog that seems to be full of life in general. What a wonderful blog and candy! I don't have a blog but now am your follower. Hi! Nice to meet you! I am so glad you offered this candy, not only because it is awesome, but because it lead me to your beautiful blog! I found your blog quite by accident. I love the coloring of the boy with the dog and also of the golfer. You do some great work girl!! I would love to win. I have posted your candy on my blog. oh my godness, what a wonderful candy! I love your cards, they are so cute! Your blog is fantastic. I´ve linked your candy and follow your blog. I take a chance. Thank you very much for visiting my blog. You have beautiful kids en a handsame man and a cute dog. I love every art expression too. Painting is my second hobby, the same as you i like waterpainting. Painting is so relaxing. But most times I can't stop painting. It is always nightwork. You make stunning cards and you are a great stamping and design talent. Wow Chrissy... I'm sure the Lord has blessed you abundatnly! And thanks for sharing all His goodness with us :) I'll make a link to your candy on my sidebar. the sneak peaks are awesome by the way!! Wow! That's a very generous candy! I visited your blog: your work is fantastic and you have a very nice family. Thanks for the chance to win. I'm already a follower so I will visit you regularly. Chrissy!!!! you have an amazing talent, the new release it fantastic, I follow your blog always and icant say enough about your work. and thank you for checking out my blog. Thankyou for the chance to win such goodies. OMG.. you are so generous! I'm now your follower and I do hope to win any of your prizes.. they are all awesome! This is a really awesome blog candy! Thanks for the oportunity to win! How have I not found your blog before?? I'm new to Copics and oh my - you are so talented!! Those High Hopes stamps are adorable!! I linked your candy on my blog (sidebar) and I become your follower. Thanks for the chance to win this candy! I am now a follower and I've got you linked to my blog! I love your work!